Once a staple down at the local Bijou, the movie comedy team has gone the way of the sing-along bouncing ball and newsreel, vanished into cinema history. These days, actors may team for a film or two but only in between their multi-million-dollar solo paychecks; no more than occasional co-stars, more akin to Hope & Crosby and Tracy & Hepburn than to Dr. Howard, Dr. Fine, and Dr. Howard. In this installment of Classics 101, I thought it'd be fun to review some of the best work of the movies' greatest comedy teams of yesteryear; their best work should definitely be on your must-see list. Stan Laurel (1890-1965) was the thin one that had a tendency to muck things up and cry. Oliver Hardy (1892-1957) was the fat one that had a tendency to muck things up and blame Stan. Laurel - born Arthur Stanley Jefferson in Ulverston, Lancashire, England - had a long career on the stage, including understudy to Charles Chaplin. Oliver Norvell "Babe" Hardy - born in Harlem, Georgia, USA - was a child of the movies, where he was equally adept at comic roles and cinema "heavies". Their professional paths first crossed about 1920 or so, when they both just happened to appear in a short film called The Lucky Dog. 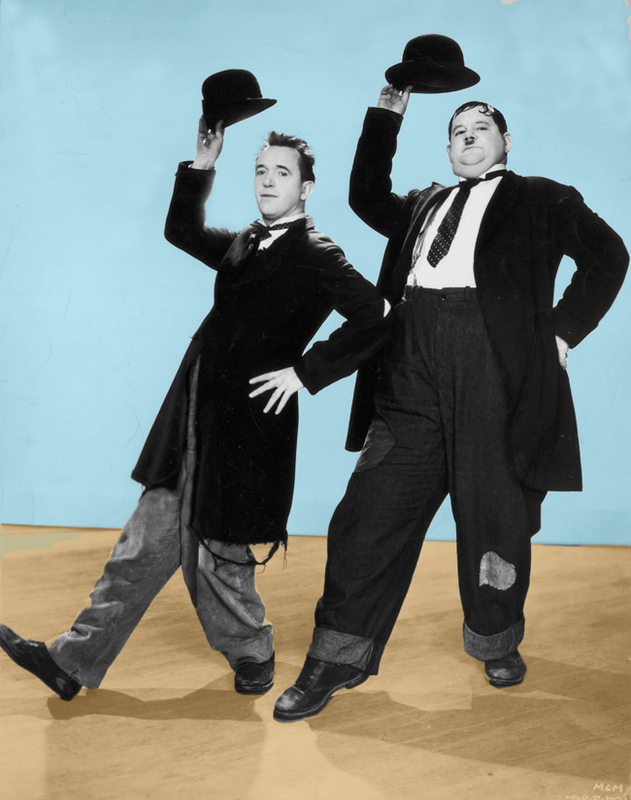 A few years later, they were both employed at Hal Roach Studios, Mr. Hardy as an actor and Mr. Laurel as a gagman and director. 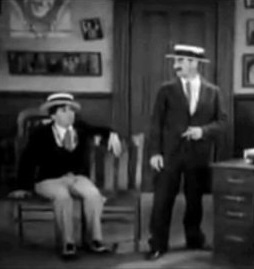 Circumstances put Stan on the other side of the camera, and he and Babe appeared together in a few films; director Leo McCarey noticed their onscreen chemistry, and by late 1927 they were officially paired as a team. They prospered during the silent era, turning out a number of 2- and 3-reel comedies, and kept the momentum going into the sound era, adding occasional feature films to their repertoire due to their popularity with the public. 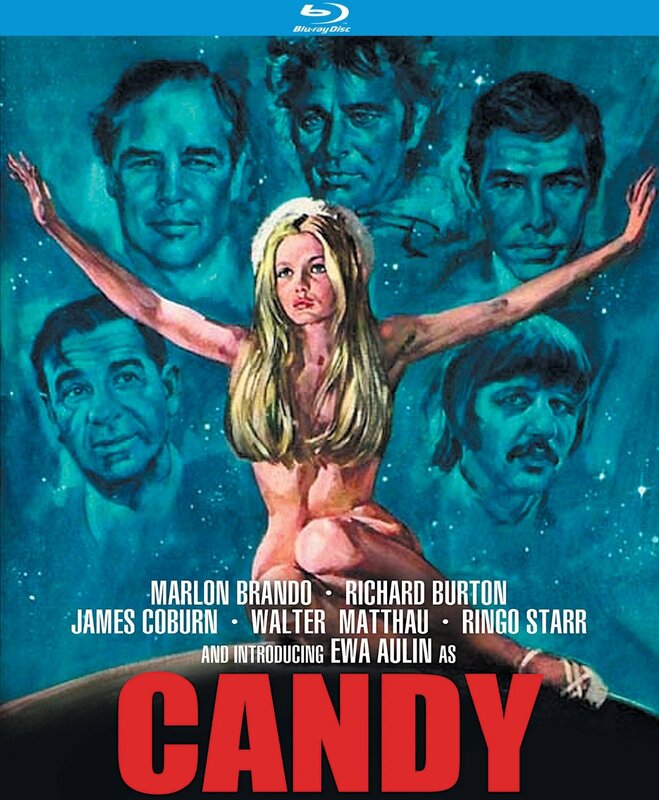 During their career, they were sadly underrated by the critics, who dismissed them as "lowbrow", but it's been said no one in the history of movies created more laughter than "the Boys". Their films are readily available on DVD from Warner Bros. (which picked them up from MGM) or Viviendi (which licensed them from what used to be Hal Roach Studios). Amongst their best films are Pardon Us (1931), a delightful prison spoof; The Devil's Brother (Fra Diavolo) (1933), one of several operettas they adapted to good comic use; Sons of the Desert (1933), probably the best of their features; Babes in Toyland/March of the Wooden Soldiers (1934), a perennial Holiday favorite; and Way Out West (1937), which features the celebrated sequence of Stan & Ollie doing a soft-shoe on a Western street. 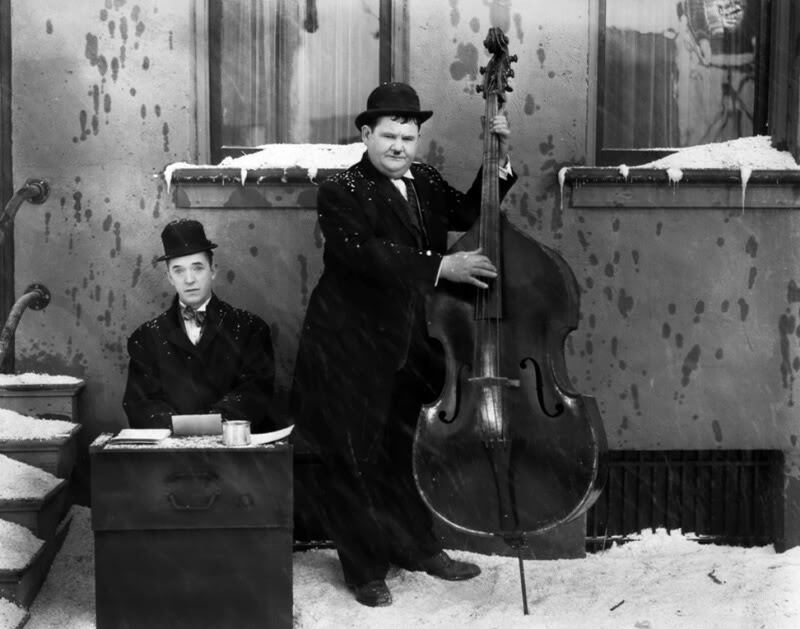 If Laurel & Hardy weren't appreciated by critics, the same can't be said for the Marx Brothers. Their best films were as highly regarded as any comedies ever made, even landing them on the cover of Time magazine in 1932. It is beyond the scope of this article to tell you TOO much about THESE guys, except that they were real-life brothers who acquired wacky names in vaudeville: Chico was the woman-chaser (it was pronounced "Chick-o", you see), Groucho was the acerbic one (he denied that explanation, by the way), Harpo played the famous stringed instrument, and Zeppo was born the day a zeppelin came to town. The four of them were madcap, crazy, threw everything possible at the audience (and fellow cast members), and were impossible to follow on the stage. Their run of Broadway hits began with I'll Say She Is in 1924, and in 1929 they made their film debut in an adaptation of their second show, The Cocoanuts (filmed during the day in Astoria, Queens, while they appeared in yet another Broadway production at night). After five Paramount films, they moved to MGM (minus Zeppo), where they enjoyed great box-office success but diminishing laughs and applause. By the late 1940s, they were washed up as a team, although Groucho (the glib one) had great solo success with his TV show You Bet Your Life and Harpo (the silent one) famously made an appearance with Lucille Ball on an episode of I Love Lucy. 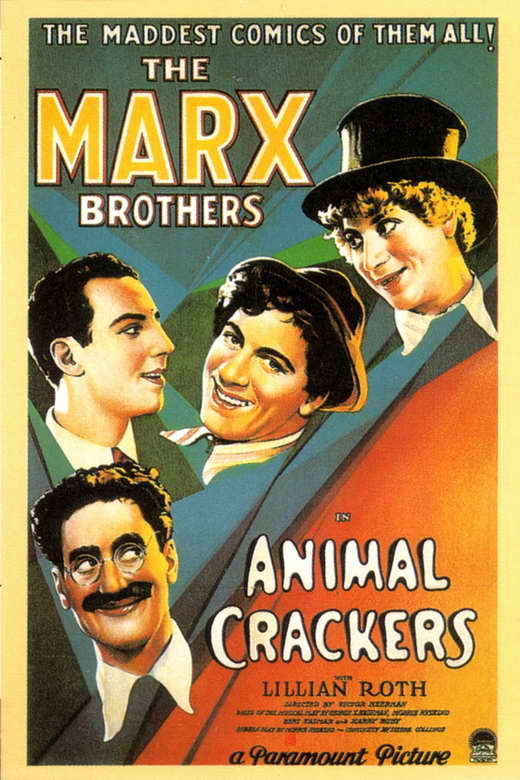 All 13 Marx Bros. films are available on DVD, the early Paramount offerings from Universal and the later MGM titles from Warners, and the Paramounts are on Blu-ray, too. Amongst their best films are Animal Crackers (1930, an adaptation of their third Broadway show), Horse Feathers (1932), Duck Soup (an anarchist masterpiece from 1933), and A Night at the Opera (1935). 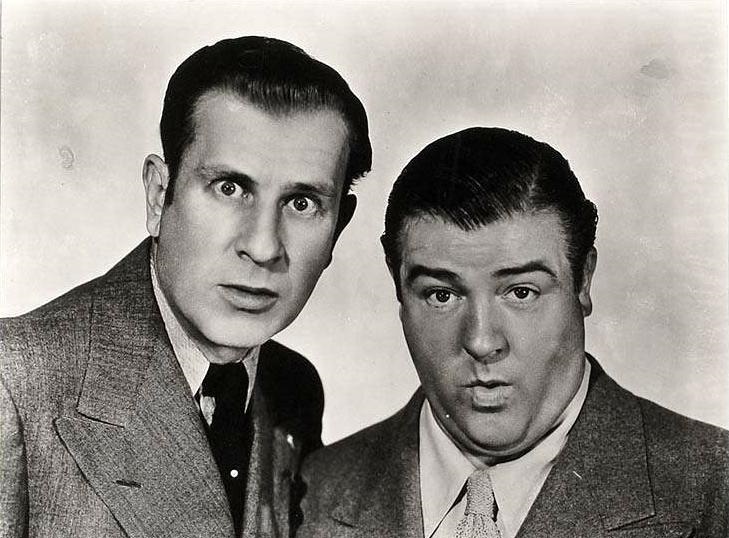 Bud Abbott (the world's greatest straight man) and Lou Costello (one of the best of a league of baggy-pants comics) belonged to the next generation of screen comics, fast, funny, and masters of clever wordplay, the exact opposite of Laurel & Hardy and yet extremely popular with audiences, being crowned the #1 stars in Hollywood in 1942, churning out movies at an astonishing rate (ten feature films from 1941 through mid-1943 alone). In the early 1950s, their TV show brought all of their classic routines to the small screen and a new generation, and their films have remained popular through the decades. Most of their films were produced for and are available from Universal, a handful on Blu-ray. Despite their productivity, they made only a few truly excellent comedies, but those are all gems: Buck Privates, Hold that Ghost (both 1941), The Noose Hangs High and Abbott and Costello Meet Frankenstein (1948). You'll also want to see The Naughty Nineties (1945), which contains their most famous routine, "Who's on First?" Their 2-season TV series is on DVD, too, as is a set called Abbott & Costello Rarities from Thunderbean. The 1950s belonged to the screen's final great comedy team; Dean Martin, a tall, lanky, silky-smooth Italian singer, and Jerry Lewis, a gangly, high-energy perennial bad kid; their paths had crossed a few times in East Coast nightclubs during the postwar era, and one night when Jerry's partner didn't show, Dino stepped in, the two of them ad-libbed like crazy, and basically ignored the audience and played to each other. The result was a smash, and they became the hottest ticket in show business, leading to a series of hit movies. Their breakup in 1956 made headlines across the country, and both went on to successful solo careers. Jerry's the only one of all these comics still with us, and personally, I've always felt the smaller the doses you can find him in, the better. 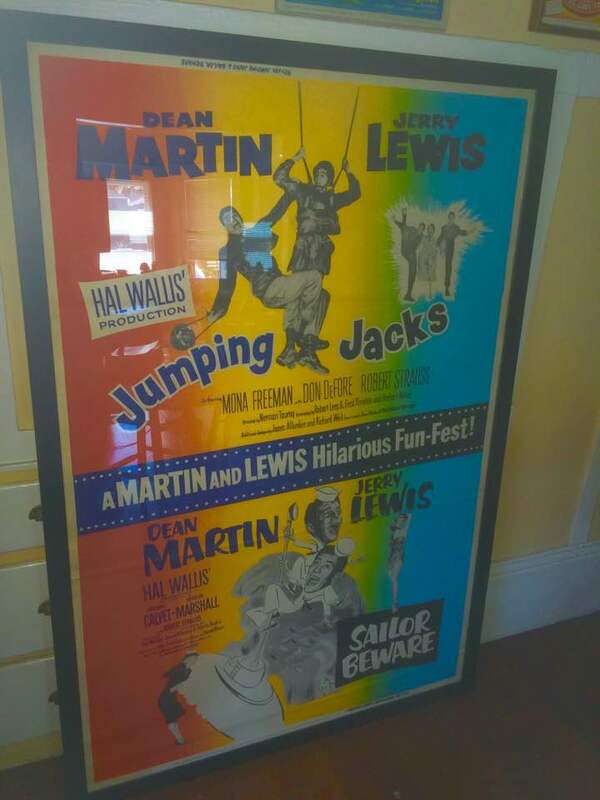 Paramount has released most of their films; Martin & Lewis did their best film work in That's My Boy (1951), The Stooge (1953), and - easily their best picture - the hilarious Artists and Models (1955), directed by former cartoon director Frank Tashlin, who helped shape Jerry's finest solo films. There were, of course, other movie comedy teams: Wheeler & Woolsey, the Ritz Brothers, Burns & Allen... the list goes on. And the Three Stooges, a phenomenon to themselves, who will be discussed in a future article on short subjects. These four classic teams will, however, serve as a good starting point of the chemistry, byplay, and out-and-out laughter generated when funny men (and occasionally, women) work together to hone their skills.